Produced in partnership with KLRU-TV in Austin, Texas, the series’ will dive into the history behind cultural tropes and touch points, and focus on relatable experiences of modern Black American life, exploring media, public affairs and social media trends like #GrowingUpBlack and #BlackGirlMagic. For example, audiences can expect to see episodes that highlight things they didn’t know were invented by Black people, the meaning of Black pride and the experiences of first generation Africans in America compared to African Americans. See a first look of the show here. 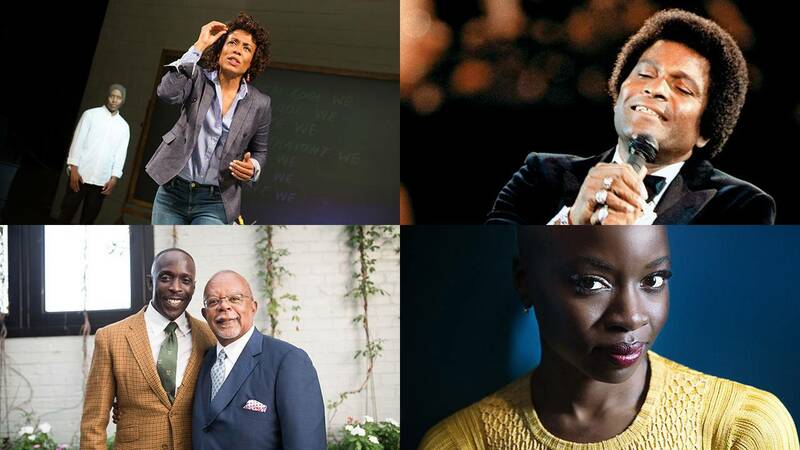 These programs are available for streaming following their broadcast on all station-branded PBS platforms, including PBS.org, PBS Black Culture Connection and the PBS Video App, available on iOS, Android, Roku, Apple TV, Amazon Fire TV and Chromecast. PBS station members may be able to view episodes via Passport (contact your local PBS station for details). The PBS Black Culture Connection (BCC), an extension of PBS.org, fosters discussion and showcases stories from across PBS that reflect the black experience in America. Streams: Feb 5 – Mar 6, 2019; Not available in Passport. Streaming information not yet available. PBS LearningMedia, an online destination for educators and students, offers free access to classroom-ready resources that support lessons on black history and culture. A partnership of PBS and WGBH Educational Foundation, PBS LearningMedia provides a wide array of materials from PBS stations and partners -- including videos, images, interactives, lesson plans, articles, primary sources and more — aligned to state and national standards. Offerings include a Black History Month Collection from Georgia Public Broadcasting that addresses civil rights and cultural history; "The African Americans: Many Rivers to Cross,” which features content from Henry Louis Gates, Jr.’s series; "Basic Black," a WGBH series that highlights stories by and about African Americans; and several collections on the Civil Rights Movement. To learn more, please visit pbslearningmedia.org. PBS Digital Studios produces original, digital programming for YouTube and Facebook Watch, designed to engage, enlighten and entertain online audiences. The PBS Digital Studios network has more than 19 million subscribers, generating an average of 50 million views a month and has acquired nearly two billion views lifetime views. Currently, the Studio has 18 original series streaming online, including eight series from PBS member stations. Series include the Webby Award-winning It’s Okay to Be Smart, Physics Girl and Crash Course, as well as popular series such as BrainCraft and PBS Space Time .